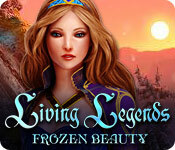 Living Legends: Frozen Beauty is rated 4.4 out of 5 by 45. Rated 5 out of 5 by sinenomine_lj from Wonderful game--good as an SE This game is excellent for an SE. You get a little squirrel friend and must collect coins to purchase his home, etc.--an extra normally reserved for CEs. The story is good and the games sufficiently challenging. The HO scenes are varied enough to keep it interesting. Rated 5 out of 5 by gungho from AWSOME When I first started this game it didn't seem like it wouldn't be too good but as I really got into I began to realize that this was an outstanding game. I'm glad that I purchased it. Everything in the game was outstanding from graphics, story and challenge. It's well worth buying. 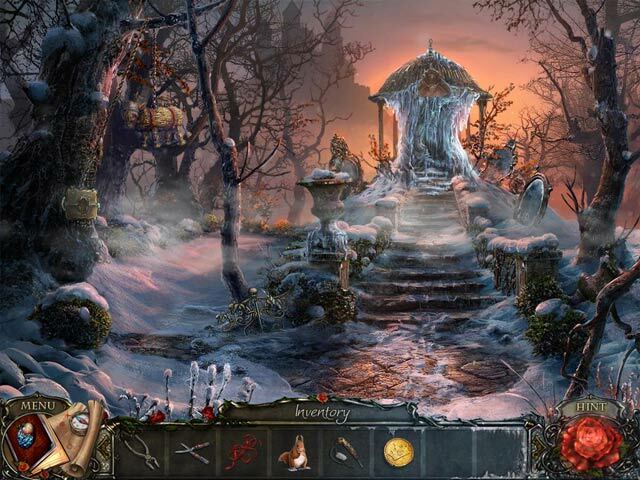 Rated 5 out of 5 by roundcanary from A Work of Breauty from the monument I played this game I knew that I would fall in love with it. The storyline just grab you in and makes you wanna finish it. The Puzzle are well done and challenge you to think. I only had problem with two. The graphic are simply breath taking. Rated 5 out of 5 by moneyhoneyy from Great! I really like this game. Excellent entertainment! Rated 5 out of 5 by AyeKCB from Another stunner! I found this game captivating. It is a new twist to the Cinderella story in that the wicked queen has gone to a new level of evil, she has found a diabolical way to stay young forever. The game never wavered from that good story line, which for me is an essential criteria in a HOG or adventure game. Many interesting HOS and many unique enjoyable and thought provoking mini games. The adventure demands that you think of what to do next but the game does not leave you stranded and lost, if you need help there is good help available. If you are like me and you like maps that teleport, you have it in this game. The characters are entertaining in their attitudes and a few are even a little creepy but in a fun way. The voice overs are good and so are the cut scenes. I definitely recommend this game. Rated 5 out of 5 by RevKellie from Totally Enjoyable I loved this entry into the living legends title series. It was so fun I didn't want to stop and played about 4 hours one night. (I usually get about an hour of play time In a night). Pros: Not a new story but interesting twist, light - medium puzzles, mini-games balance out HO scenes so it's not the same thing over and over, beautiful graphics, nice sound effects. Intuitive decisions (you can figure out what goes where) - A fun little pet that also helps. Easy to follow - one scene logically leads to another. Generous Hint button, didn't need it. Cons: Characters are a little weak, ending abrupt. Some mini-games are long and repetitive. Overall, an enjoyable way to unwind and have fun. Rated 5 out of 5 by stacylk2003 from Interesting and different Good performance, interesting and challenging. Had many different games where many only have 1 or 2 kinds. 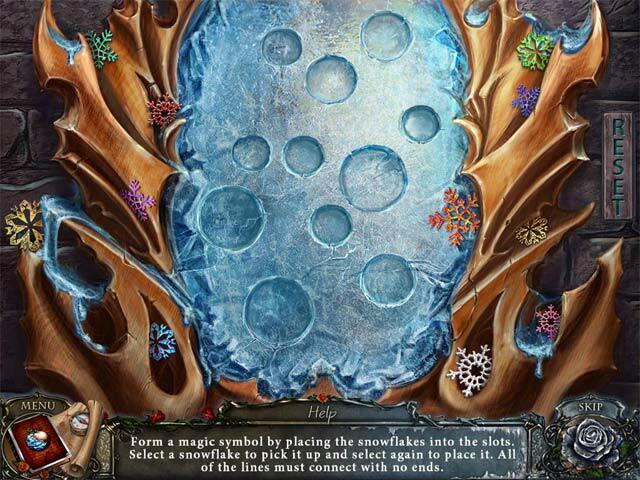 Rated 5 out of 5 by mnlght_maiden from bring your coat, this snow white story is chilly... Graphics are surprisingly good in this game, in the cut scenes as well as just overall atmosphere. The music is very pretty- I'm sure it was a repetitive score like most games are, but I didn't notice it. It was a light and airy sort of (I almost called it haunting) melody. The voice- acting was well done, in my opinion, when you did see it. No out of sync lips or anything annoying like that. So, the story- think Snow White. Except, not just asleep Snow, frozen Snow. The apple concept is almost the same. Poor Snow White was the first, and now your sister has been invited to be the Queens' successor- and you're now on a trip to save her. You get a pet to help you, there's 3 difficulties....there's a map that warps you place to place if you don't feel like the walking. The one thing that did annoy me was that the journal didn't jot down some mini-game puzzle hints that really would have been useful while solving. But, I got through the puzzles by going back and writing them down on paper. I liked the game enough to buy it, but as usual, I recommend you try it first before buying. Rated 5 out of 5 by GamerGirl04 from Love this game! I love how this is a mystery game and involves an awesome adventure. 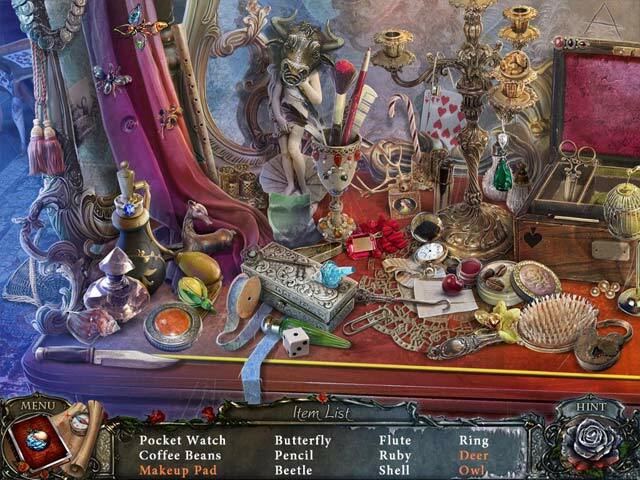 I also enjoy how it involves hidden object games. Rated 5 out of 5 by denniann2 from excellent game!! you are playing a modified version of snow white with other characters. the hint/skip charge in about a minute. beautiful graphics. played casual. low sound. hints help to tell you where to go and where the item is in HO scenes. there is a diary. you have a squirrel friend that helps some and you can name it and buy it things with the coins you collect. had to cheat a few times and go to the walkthrough. sequel? i don't see why not.